Many Mainers drive junkers or beaters, especially is winter, and these cars are often so old that they still have the hood ornaments common on automobiles of the 60s and 70s. 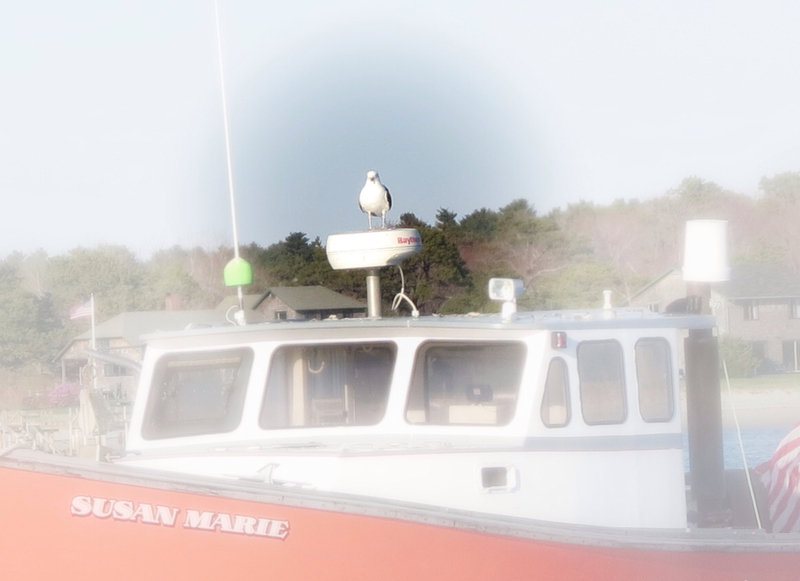 And fishing boats are seldom seen without at least one sea gull perched on the radar, or some other high spot. I don't have a photo of Mike and his new Piaggio BV Tourer 250. 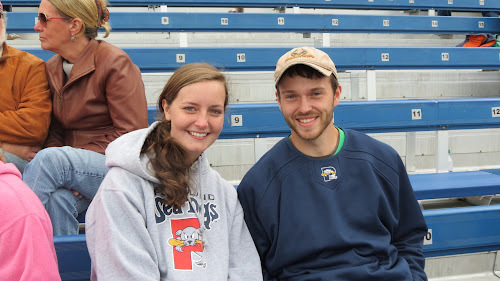 But here is a picture of my beautiful niece Leaha with her boyfriend Eric at a Sea Dogs game. Both of these young people are far better looking than Mike, so I expect I won't need to take a photo of my scootering companion. That was quick ! You learn something new every day. how come there are so many seats unoccupied at the Sea Dogs game ? My father took my suicide off his car - to which I lost driving privileges for that "little stunt." And beach riding has been banned, in the family at least. The empty seats are in the general admission section. The lower seats are pretty full. And my seat in the press box is right next to the free soda! C'mon Bob, you live my the ocean and you didn't get his reference? You need to feed the seagulls more, lol. Kidding. Good pic of your niece and her boyfriend. we don't really have a fishing industry here, or anywhere near Vancouver. The fishing season is only open for a few hours or a few days depending upon what the Government says. So our seagulls do not park themselves on boats as there is no food for them there.